Lately, I have been eating more of a Raw Food Diet and hubby is eating a Lo-Carb gluten free diet so this dish is great for both of us. Is it kid friendly? Depends on your kid. My kids will eat this but only when bribed.. They are too old to be fooled into thinking it is pasta. But I also have friends that have children who love this. They especially love to make the “noodles”. 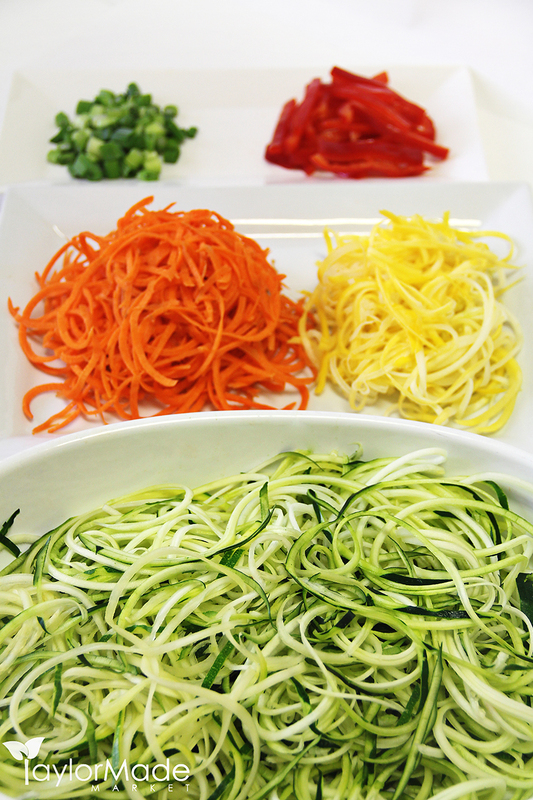 You can use a spiralizer or a mandonlin to make noodle like strands. Even though my kids are older they were still excited about using the gadget. 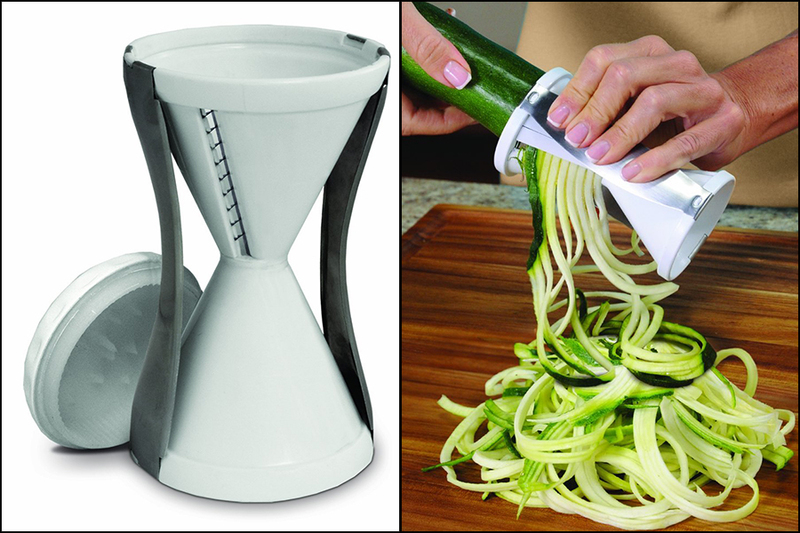 I was happy to give them each a turn.. You get a bit of a workout using this!!! 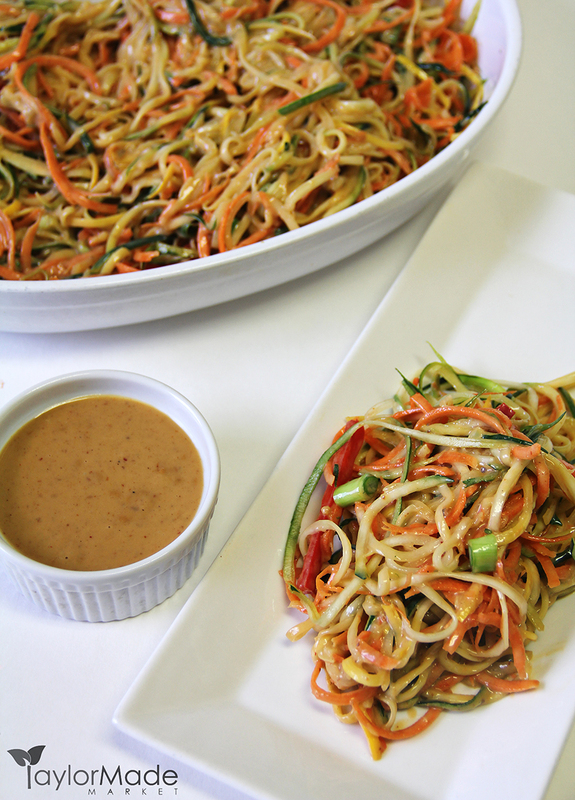 Here is what I used for the salad You can use a spiralizer, food processor or Veggetti Spiral Vegetable Cutter to noodle your veggies The Peanut sauce is so yummy I could just drink it. If you want to make this ahead of time just store the veggies in a ziplock bag without any sauce.. 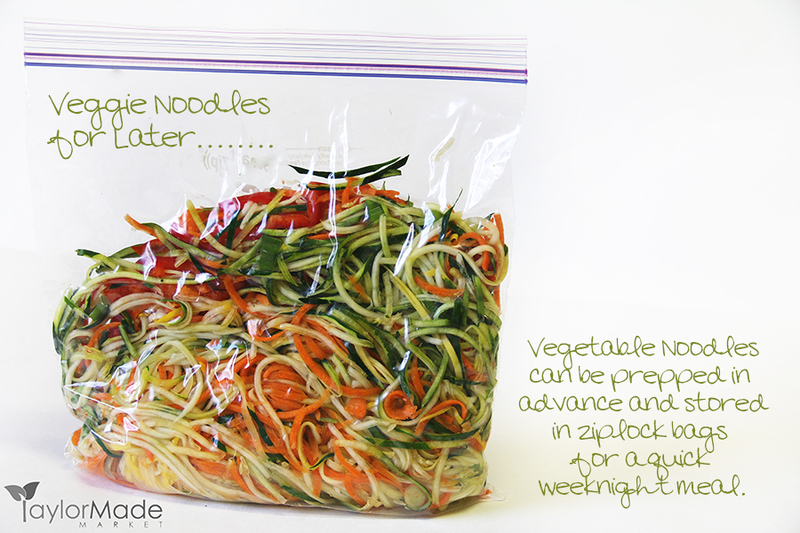 The vegetable noodles should be stored dry. Then when it’s time for dinner, All you have to do is empty into a bowl, add the sauce and your meal is done!!! 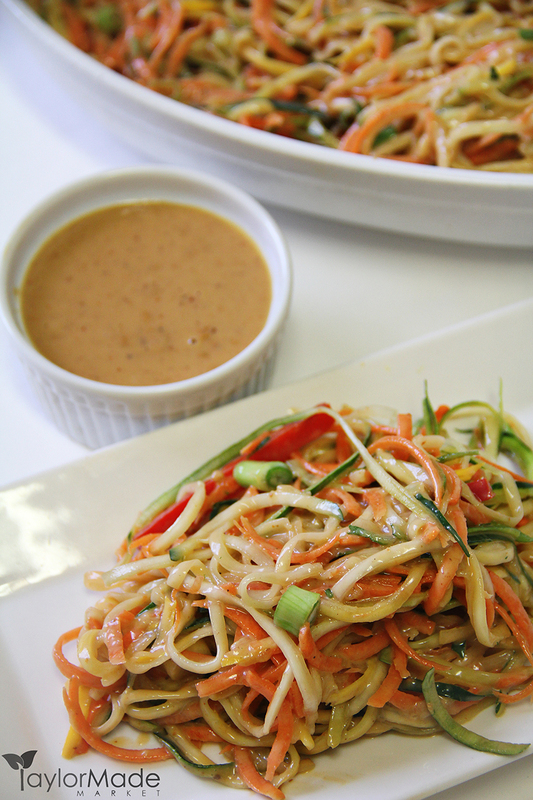 This recipe is for Veggie Noodles with a Thai Peanut Sauce but Please feel free to top with any sauce you’d like.. It’s great with some fresh lemon juice & herbs or a homemade marinara sauce or even guacamole!!! I promise, It’s delicious.. This dish will leave you feeling completely satisfied without being weighed down at all. 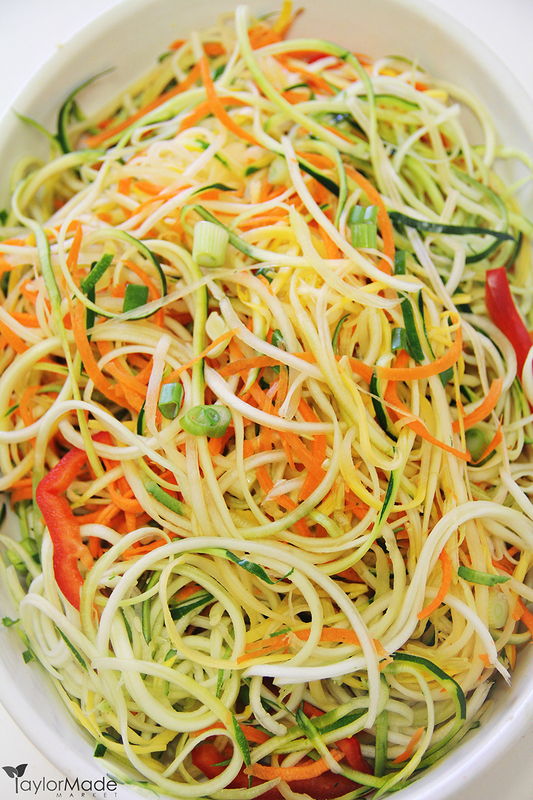 Vegetable Noodles 60 Calories and 8 carbs. 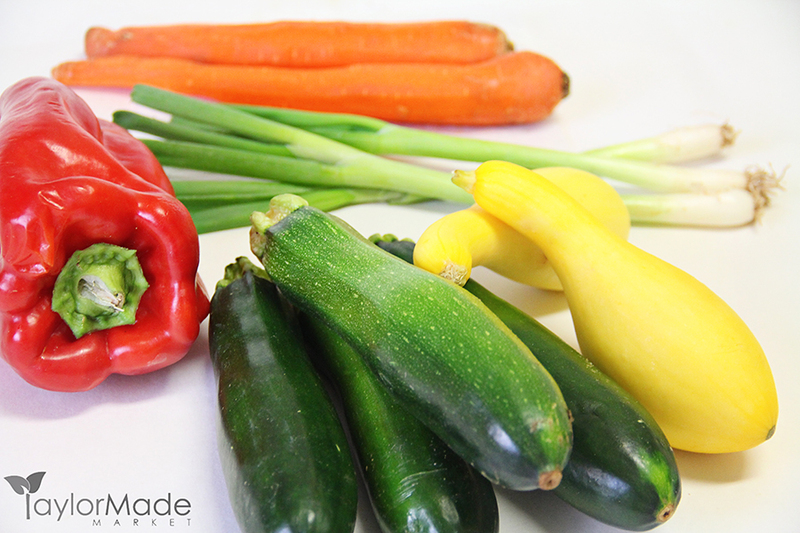 For the salad: Add the zucchini, squash, carrots, green onion & red pepper to a large bowl. For the sauce: In a small sauce pan heat sesame oil. Fry curry paste & sugar stirring 20 seconds. 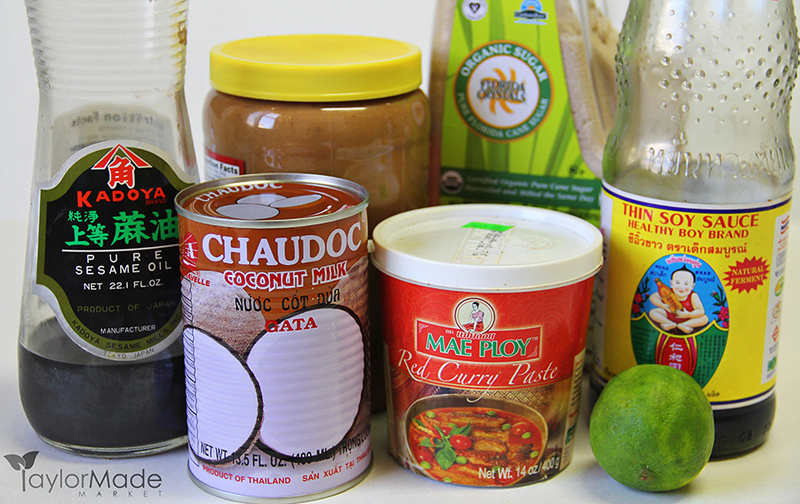 Add peanut butter, lime juice and coconut milk. Stir to combine. 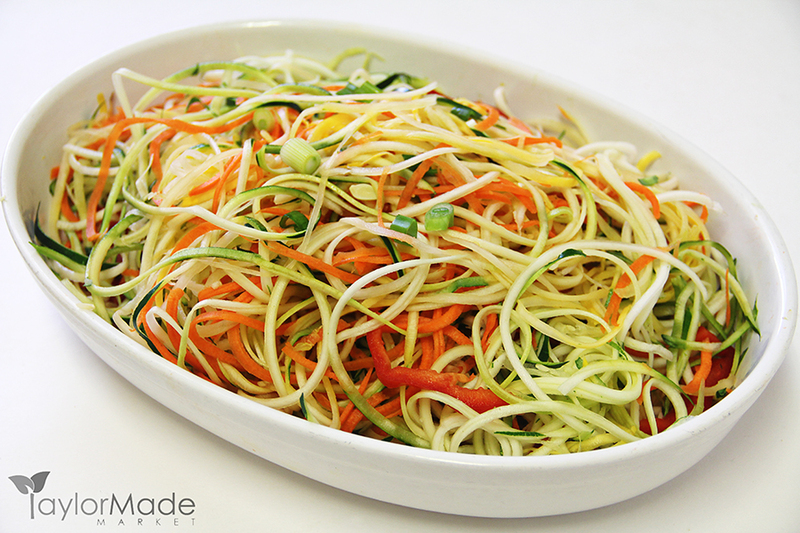 Heat through and serve over vegetable noodles. Toss to coat.